Since I was always in Tarlac last year, 2015, I didn't get to attend a lot of events. But now that I am back in Manila (for good), I'm pretty sure you'll be seeing a lot of posts about events now! Aren't you guys excited? 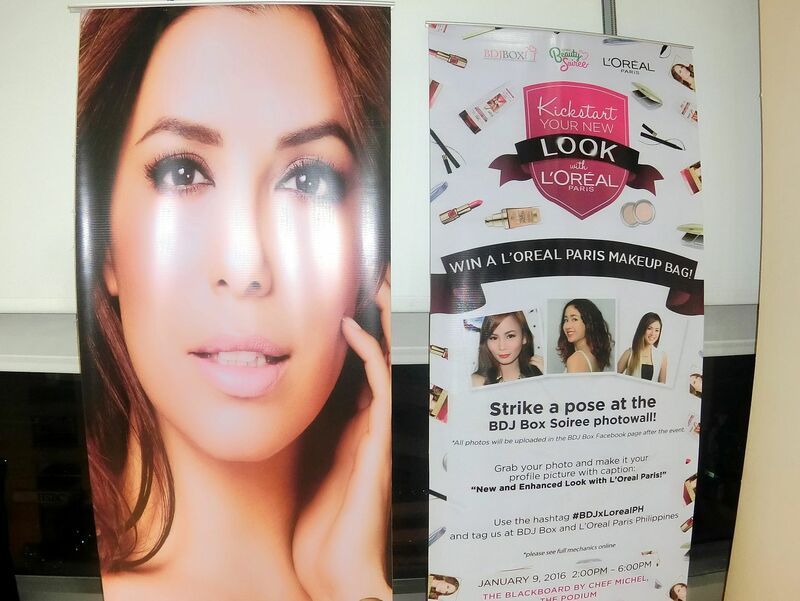 My first event for 2016 was BDJ Box and L'oreal Philippines Beauty Soiree. 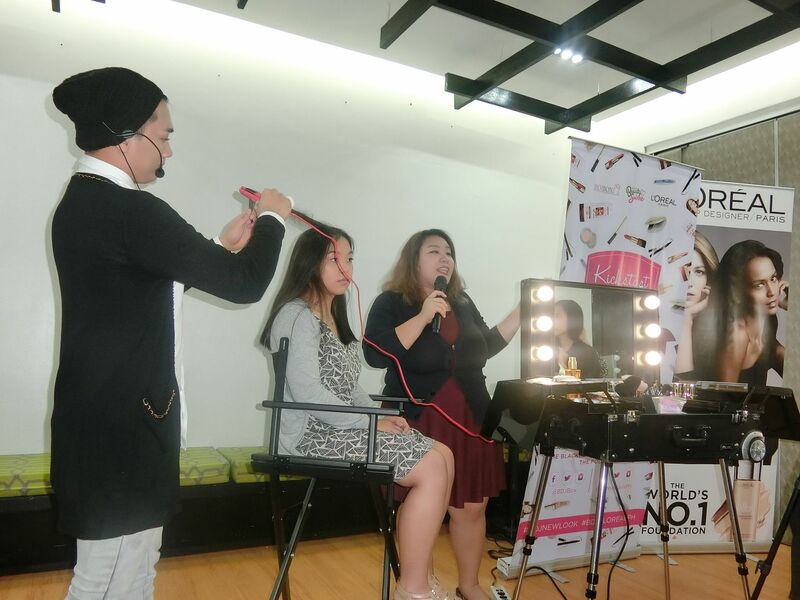 It was an event to inspire women (BDJ Bellas) to kickstart their new look and reveal a new self this 2016 through the help of hairstyling and makeup! 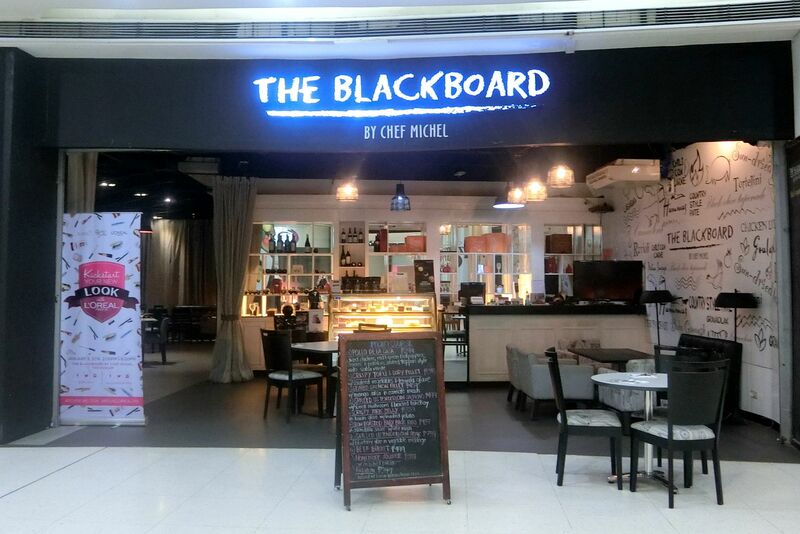 The event was held at the The Blackboard restaurant in Podium. 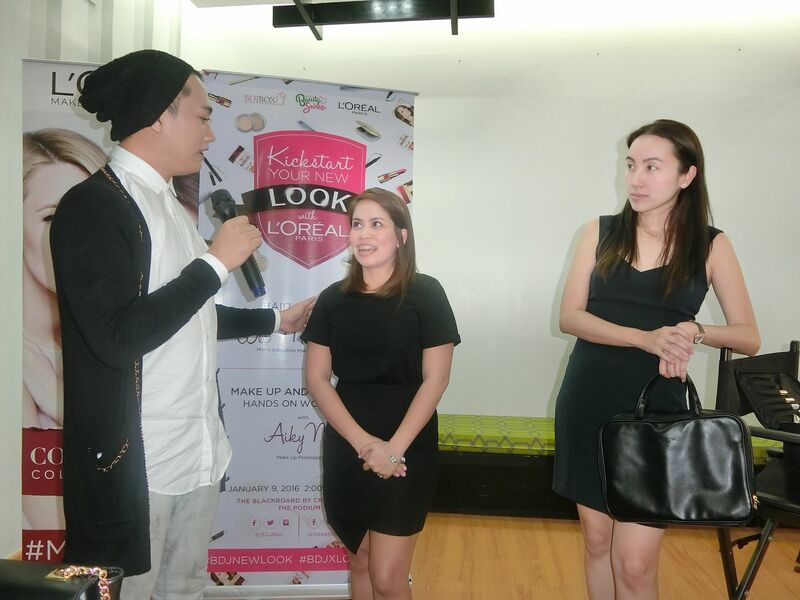 I was there along with 2 other BDJ Beauty Ministries : Valetie Tan and Kate Alvarez. 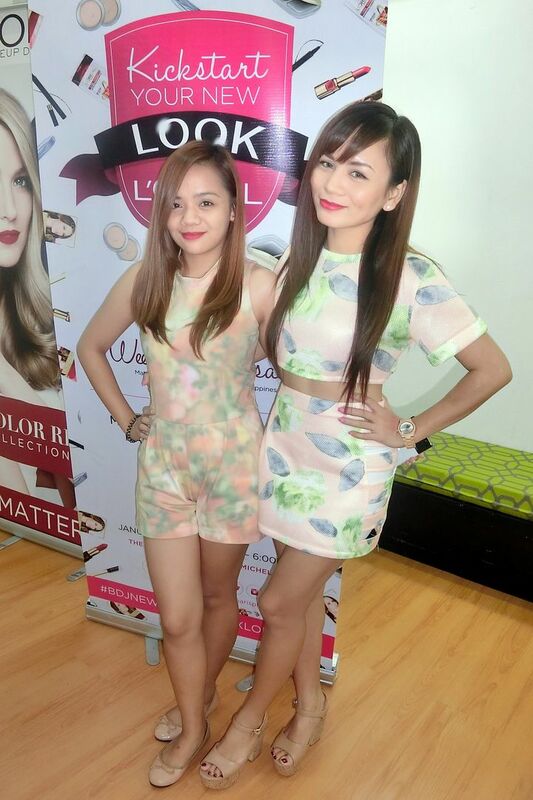 I remember meeting Valerie a few years ago when she invited me to visit her Glambox Beauty Shop. Valerie has always been nice, friendly and pleasant. We also talked and she mentioned how it feels amazing for someone to be working with people that one just used to look up to or idolized when one was just starting. She mentioned that because we talked about the popular YouTubers here in the Philippines then and now. It's true, in my case. 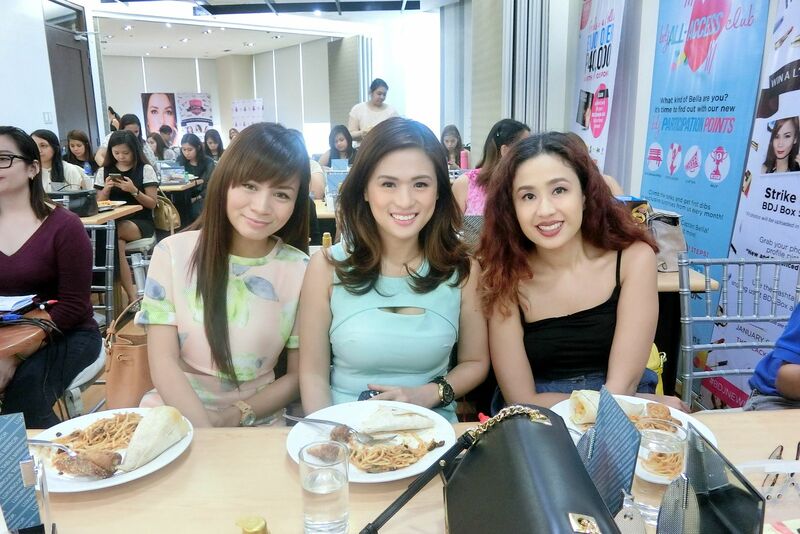 Because I have worked with Ana Victorino and Camille Co already. Been on the same stage as Bethany Mota. People that were already known names when I was just starting. I have also worked with Valerie already! I used to just watch her on T.V. and now, we attend events and do projects together! It feels surreal when I look back how small I was then and how I didn't think I'd do projects that I'm doing now. 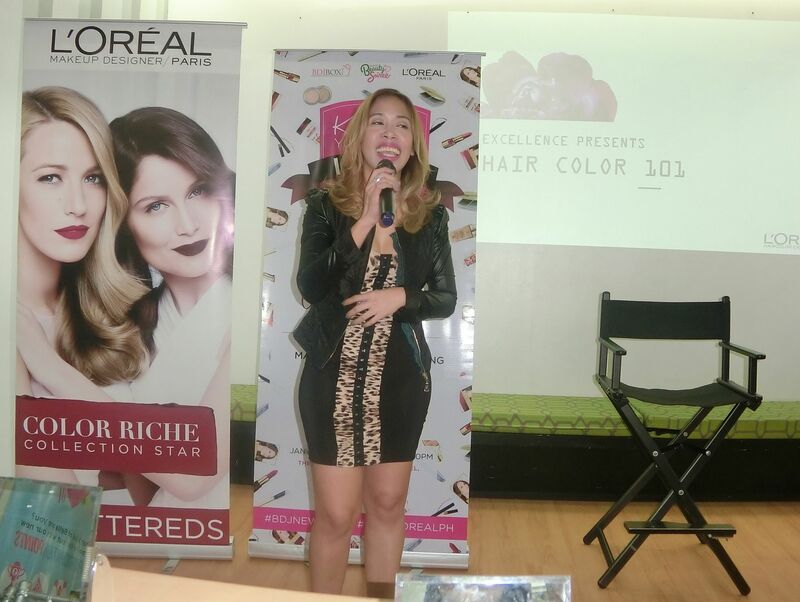 First part of the event was Hair Color 101. 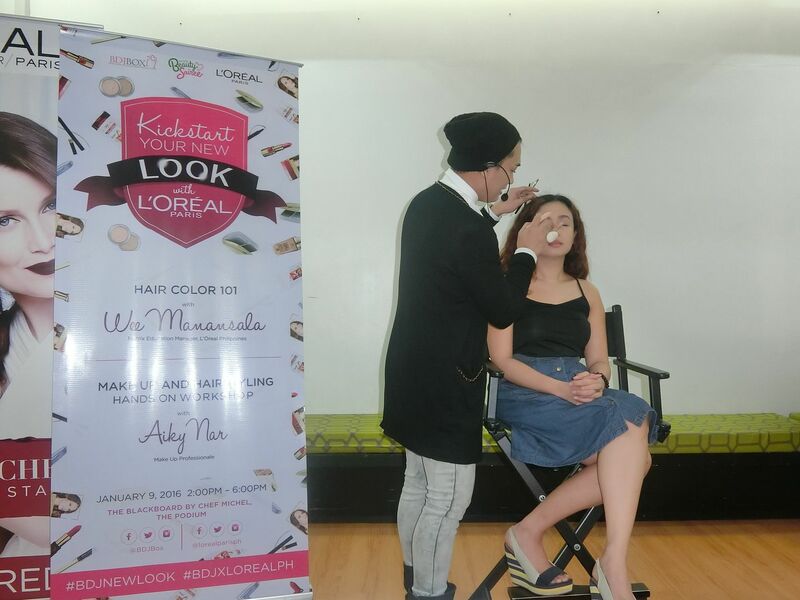 It was conducted by Ms. Wee Manansala of L'oreal Philippines. I learned a lot of things! 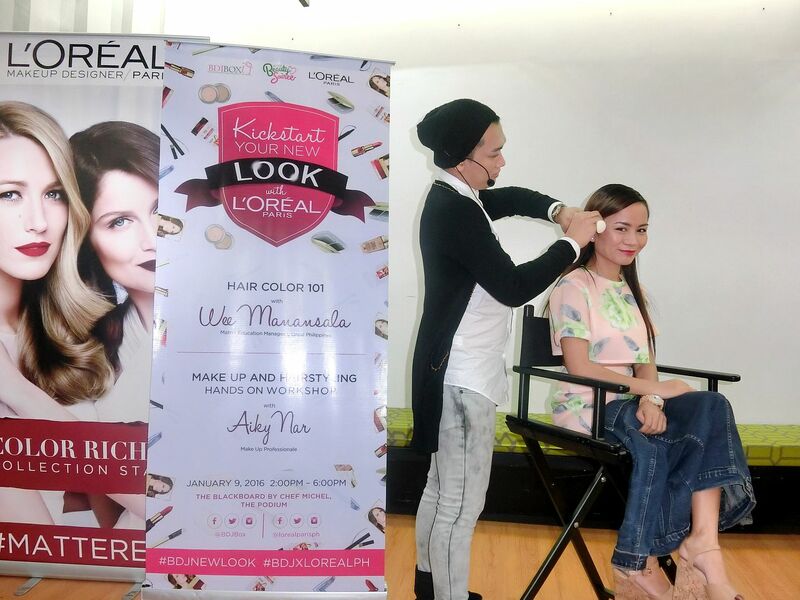 I always learn so much about hair whenever I attend L'oreal events. 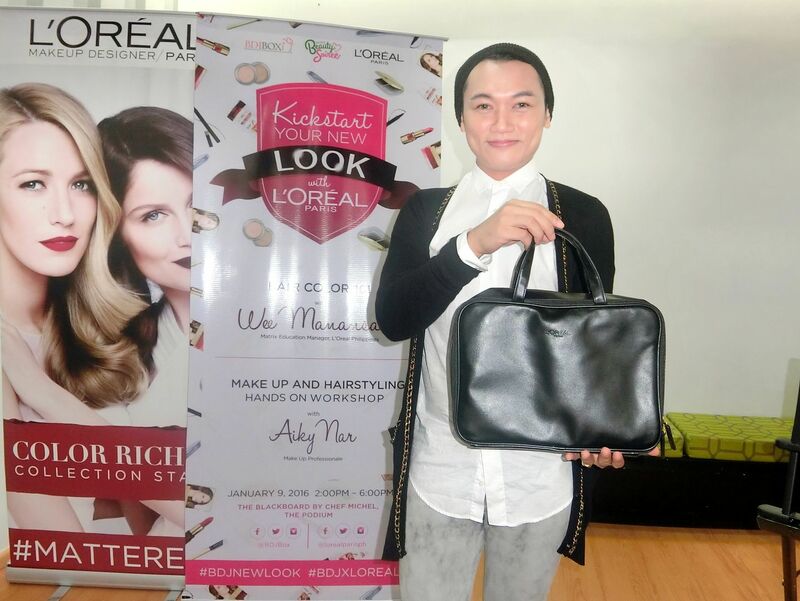 Do you guys remember the trivia I shared to you when I had my L'oreal V Look Cut? I learned so much from that and now, I learned more about hair! No doubt, L'oreal really is an expert when it comes to hair science! I need to color my roots soon! I will use this new L'oreal Exellence Fashion hair color. Will do a review on it so be sure you come back here on the blog for it. My beautiful seatmates, Valerie and Kate! 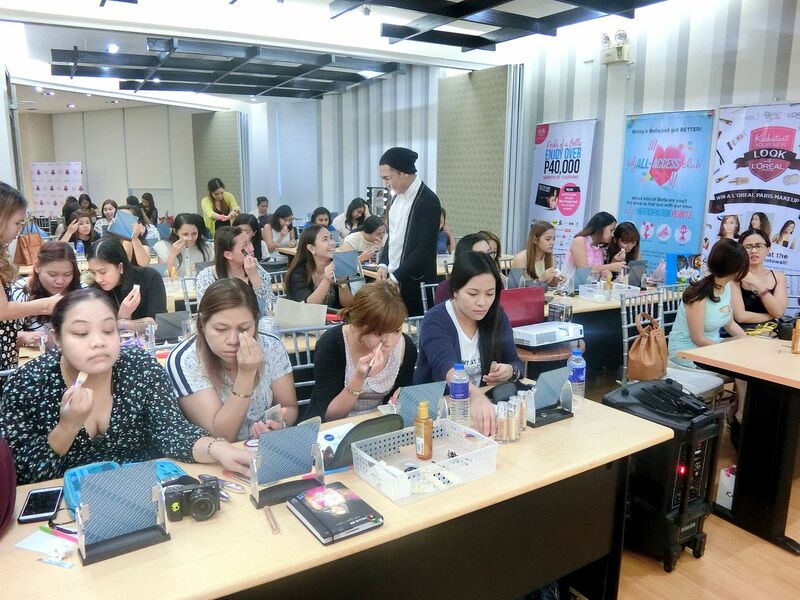 Next part of the soiree was Mr. Aiky Nar's makeup workshop! 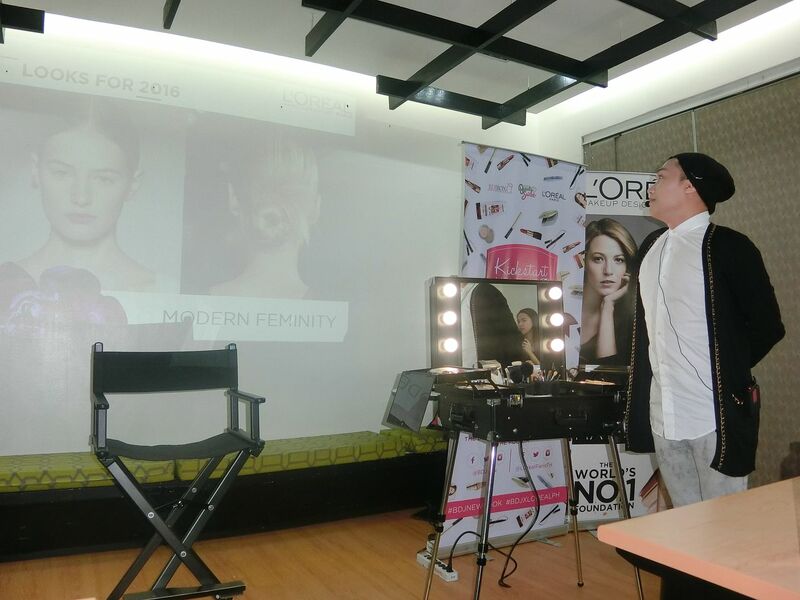 He demonstrated 5 different looks to the Bella's that they could try on themselves later. I actually have the guts to be a model now?!! Hehe It's amazing how blogging and being on YouTube have made me more confident! Before this whole internet thing, I don't think I'd be able to confidently sit there in front of many beautiful girls! 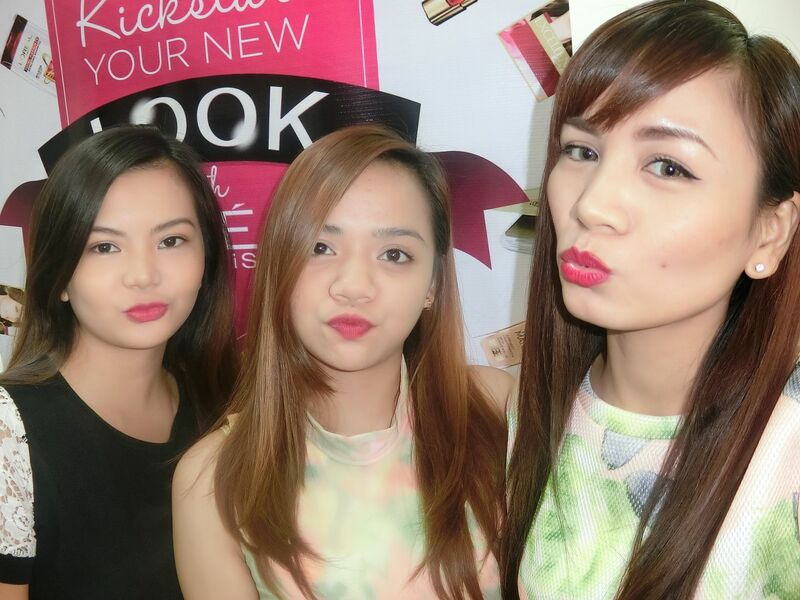 After the makeup and hairstyle demonstration, it was time for the Bella's to try 1 look! 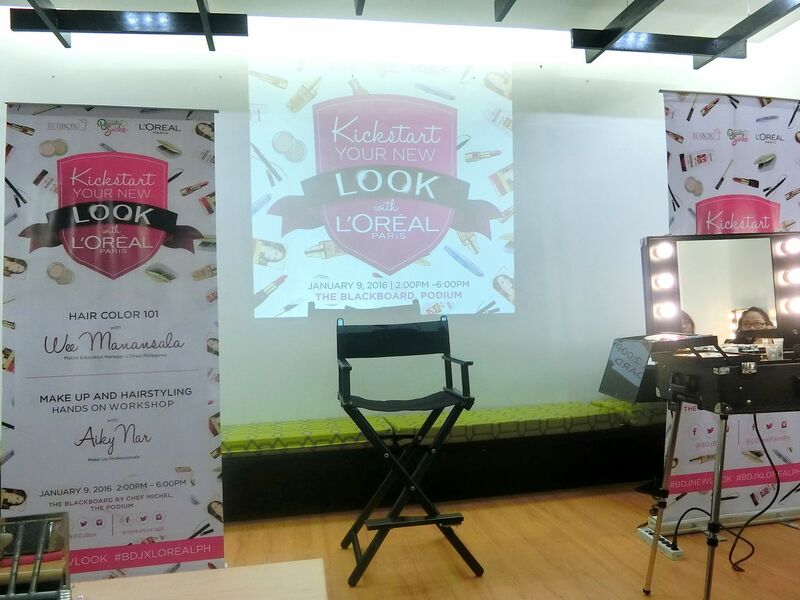 L'oreal provided makeup samples that the girls could use to achieve their New Look for 2016. Aiky did the "Working Girl" look on me. Prior to the demonstration, I had pink lips. I don't think red lips match my floral outfit. You guys think so? BTW, I'm using the L'oreal Pure Rouge Lipstick. I LOVE lip products! 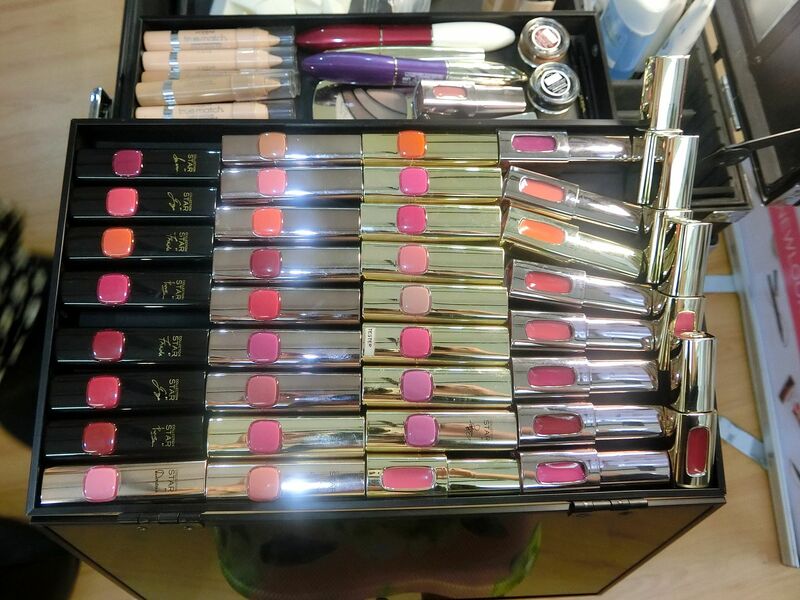 Here are some of the L'oreal lip products that the girls got to use. This was only 1 train case. There were 5 makeup train cases that day. Oh, are you a fan of AlDub? Haha. I used to be... 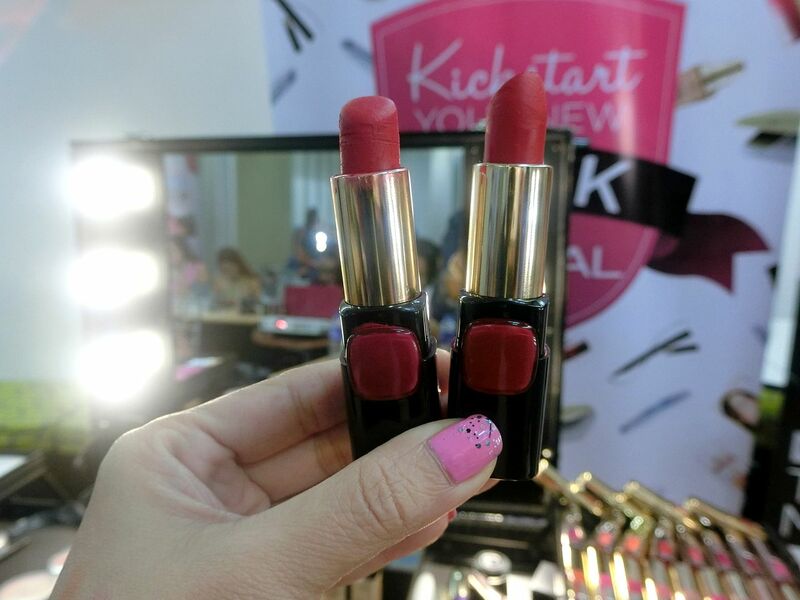 Anyway, this is the infamous L'oreal Pure Rouge Lipstick that is now SOLD OUT after Maine Mendoza posted it on her Instagram!! It only costs Php 400 but try as you may, it is sold out everywhere. 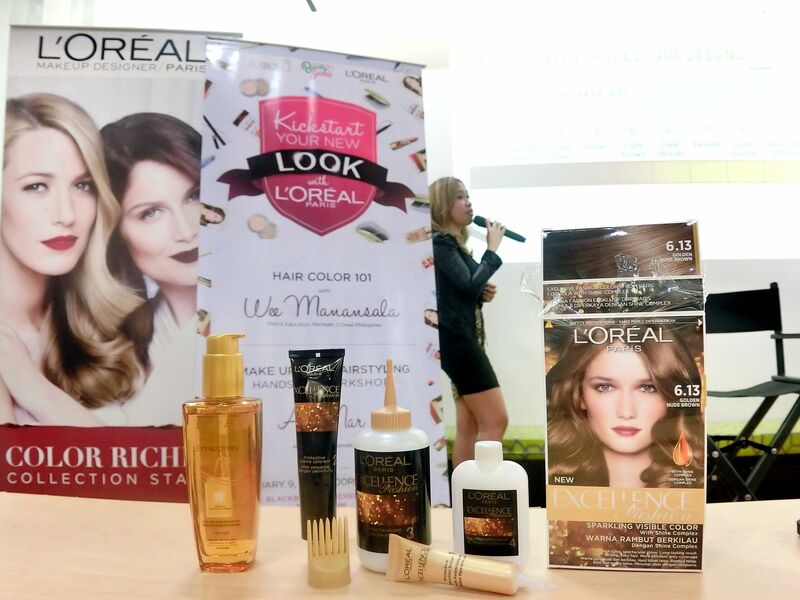 But L'oreal said that they are already replenishing! The girls had a challenge. After doing their makeup, they had to post a selfie on their Instagram. 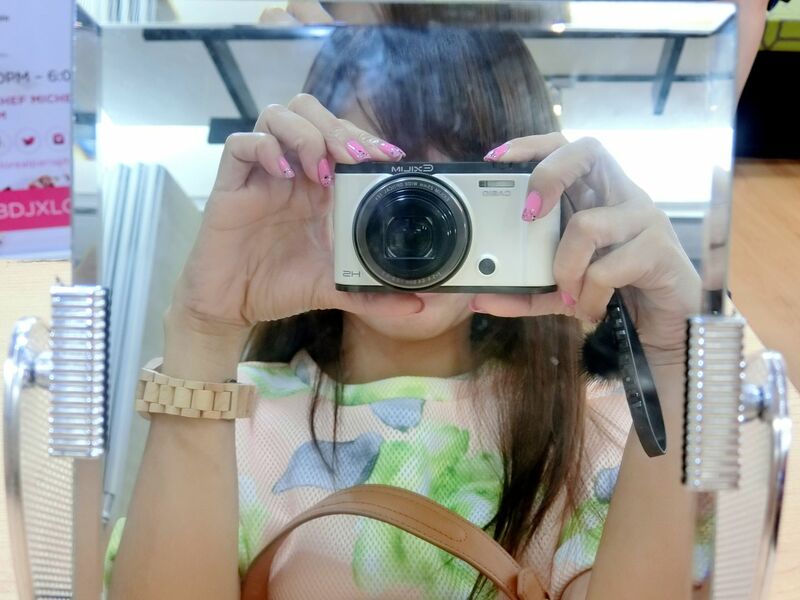 After posting their photos, Aiky finally chose the winner. 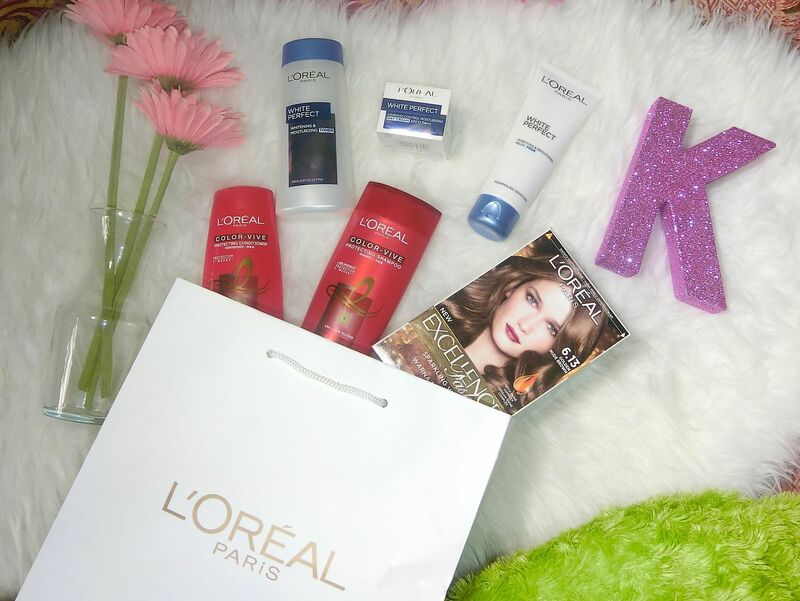 She will take home this exclusive L'oreal Makeup Bag with, of course, L'oreal Goodies inside! BDJ has always been generous to their Bellas. 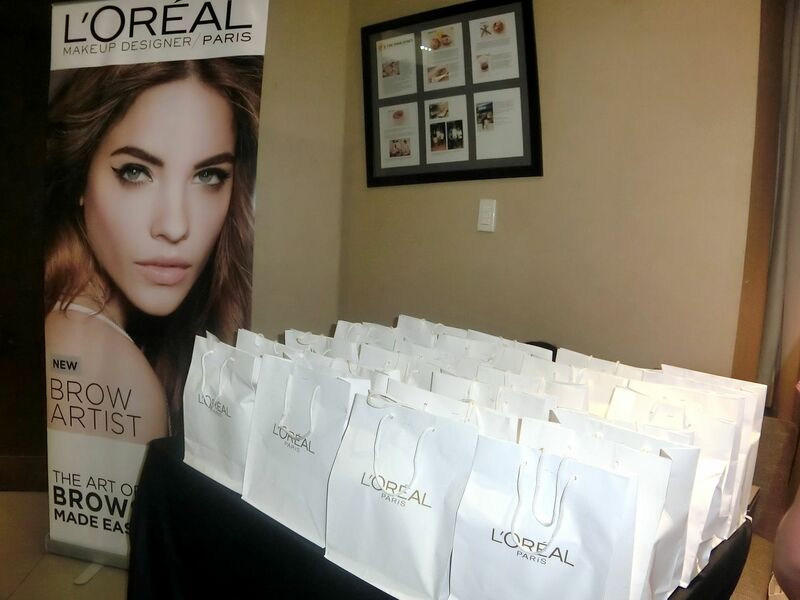 They prepared loot bags for the attendees of the Soiree! Yay! 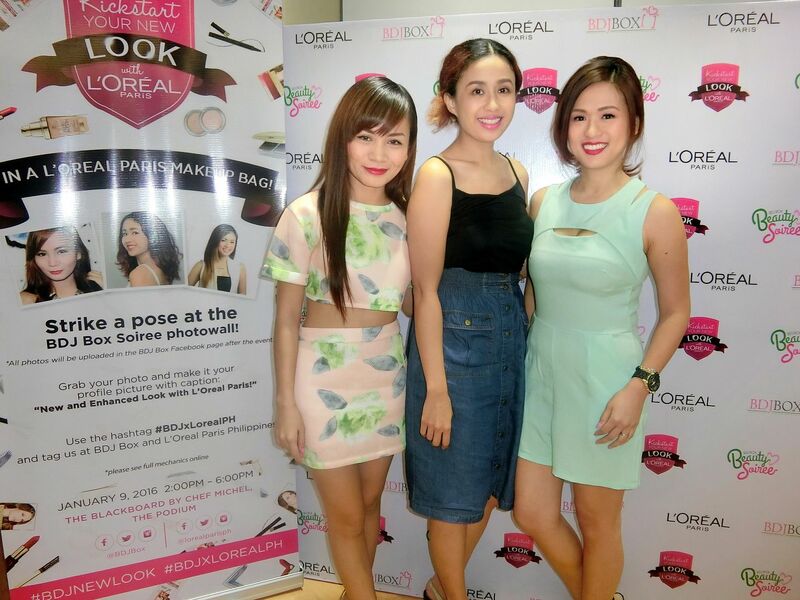 Thanks to L'oreal for the products! When I got home, I opened the bag and took a photo of what's inside. I know you guys are curious cats! 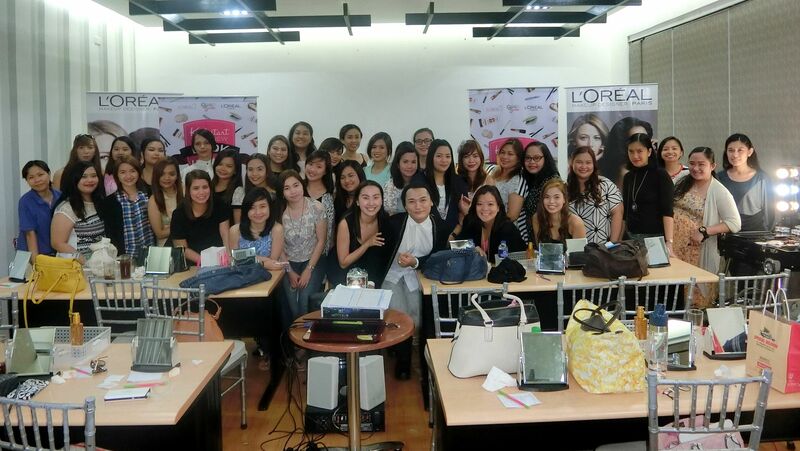 Here's all the Bellas and the staff of BDJ and L'oreal present at the event. 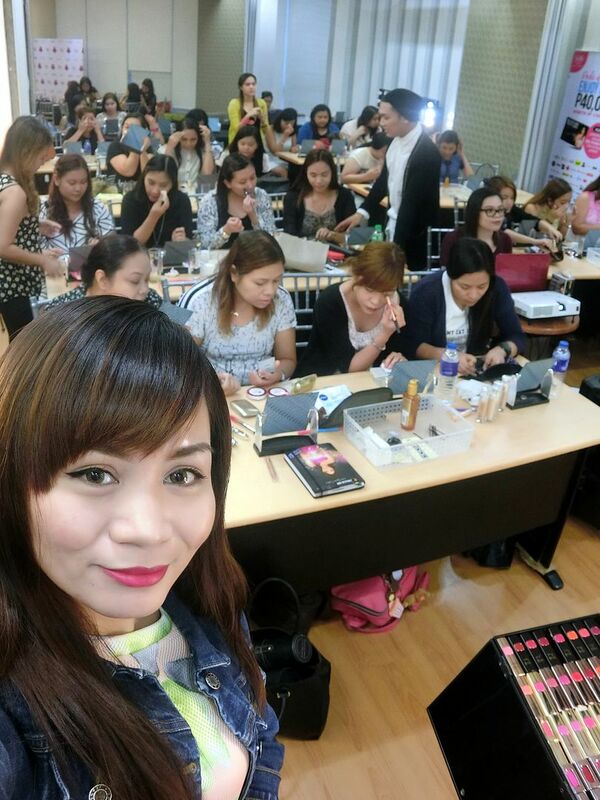 BDJ is really a community that not only focuses on beauty products but also aims to empower women! It was a super fun event. 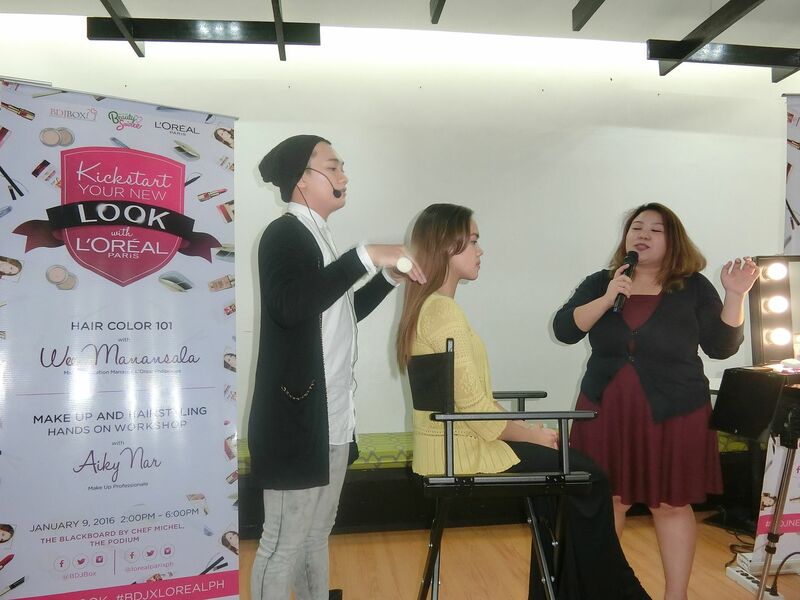 I'm glad my first ever event for 2016 was with BDJ and L'oreal! More successful events to come, BDJ! After the event, I met with MC. 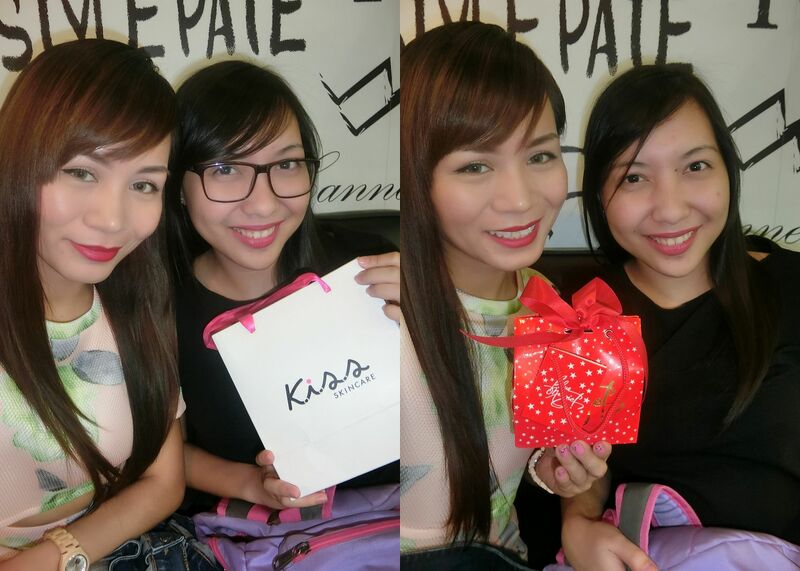 She is the winner of our Malissa Kiss products giveaway. 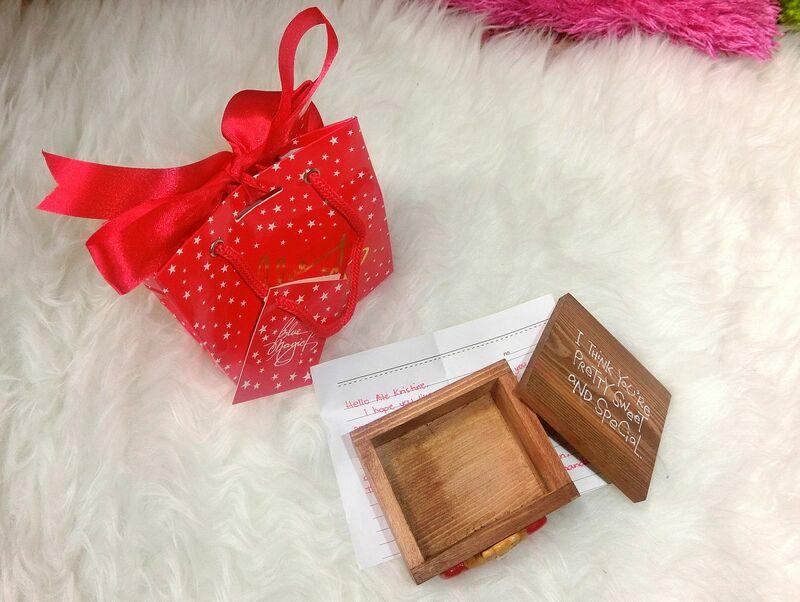 She also gave me a gift and a letter! Aww, how sweet?! I really appreciate gifts and even more appreciate letters! I keep them in a cute box! Hehe Thank you for this, MC! I hope you enjoyed our kwentuhan! So, that's what I did yesterday. I hope you enjoyed reading this. It's already past 2 in the afternoon and today is a Sunday so I need to get ready for church. I recently went back to church and it just feels good to surrender all my thoughts, feelings and problems to God. Would you guys want a blog post about that? Just let me know in the comments section below!